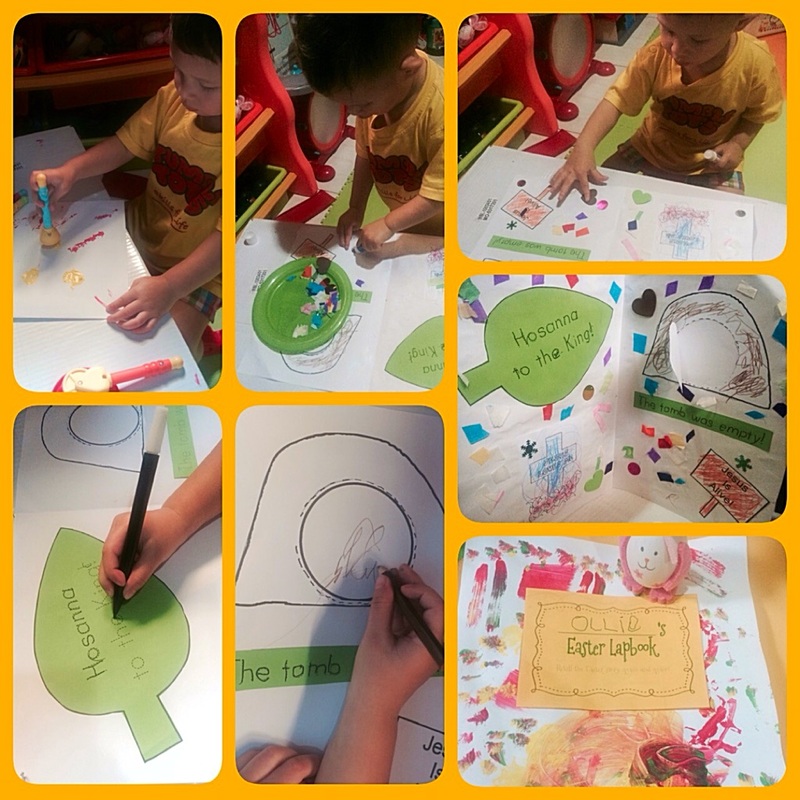 As the Easter holiday approaches, Ollie and I decided to make an Easter lapbook activity. We’re super excited. Well, actually this is my own decision to make, 😜 but hey let’s spread the spirit of Easter to my son. While we’re making this activity the goal is to strengthen our child’s fine motor skill through tracing, coloring/painting and pasting. But the most important thing that we can teach our early child about the meaning of Easter, it’s all about Jesus our God who died on the cross to save us from our sin but then He rose again so that we will have an everlasting life. Glue and other resources that you can make by yourself.